Home of Hot-N-Ready Pizza! 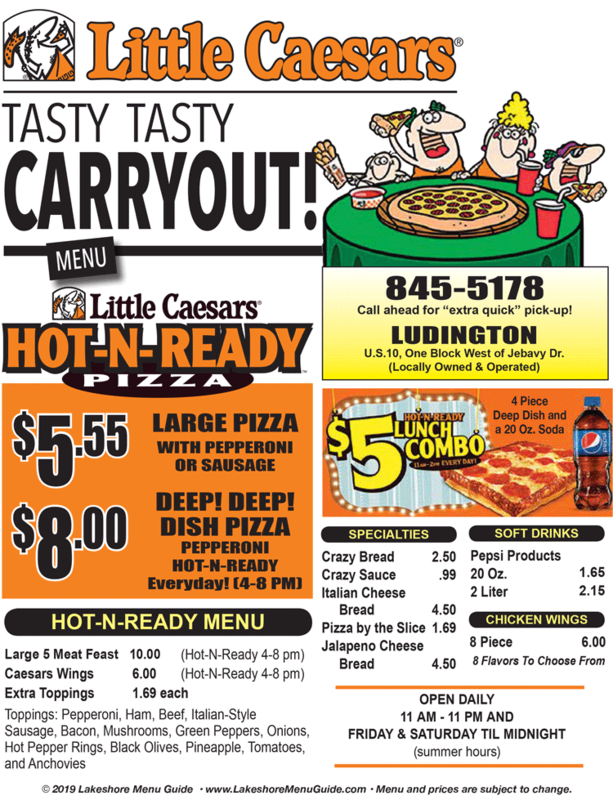 One large pepperoni or sausage pizza, just $5.55 all day every day. Also, enjoy our famous Crazy Bread, "yummy" Italian Cheese Bread, fresh salads, or our tasty Caesar Chicken Wings. Open daily at 11am. Locally owned and operated.